Reduction is an analytical process, identifying the parts of something and examining their relationships to each other and to the whole thing in order to explain the thing’s characteristics. But when someone puts forward an argument that sounds clear and logical, you may occasionally hear it dismissed with the words "that is just reductionist." The word reductionist is used in such cases to imply that the argument is unduly simplified or distorts the issue. And reductionist thinking, it is implied, leaves out something essential, perhaps some romantic or supernatural element. Reductionist thinking is integral to science. So doubt is sometimes cast on science because it is reductionist. Another criticism of reductionist science is that it is not holistic: it deals with individual aspects of the world but ignores the overall unity. I agree that reductionist science looks at individual parts of the world, and that it looks only at identifiable evidence. But I think that reductionist science indeed deals with the whole, however large or small we might take the whole to be in any particular case. Here is a simple illustration of reductionism that is not related to science. Someone might have an old wind-up clock, knowing what it does but not how it works. To discover how it works the person could examine the gears and the spring and the escapement, etc., and see how each of the parts interacts with the others to produce the integrated functioning timepiece. To give a scientific example, a molecule of water is commonly symbolised as H2O, which means that it is composed of two atoms of hydrogen and one atom of oxygen that have interacted to produce a new entity. The characteristics of water can be explained in terms of the characteristics of hydrogen and oxygen and the way the two atoms of hydrogen are attached to the much heavier atom of oxygen. This may be expressed as "the whole is the sum of its parts", with the process of reduction being expressed as "reducing the whole to its parts". Similar explanations apply for all chemical compounds. So a reductionist argument might be that chemistry could be explained purely in terms of the physics of atoms. And the argument could go further. Biochemistry can be explained by chemistry. The operation of the cells of living organisms could be explained by their structure and their biochemistry, and similarly for the physiology of organisms. And their physiology explains the behaviour of the individual organisms, which explains how individuals operate as societies. If it seems fanciful to explain sociology entirely in terms of physics, or even of mathematics, that is because it really is fanciful. But I once saw something very like that being quite seriously proposed. This picture of reductionism is crude, but it is not far removed from the general impression of what reductionism is. And it gives a hint as to why some people distrust any argument that is or sounds reductionist. But there is more to reductionism than this. Any analysis and explanation about how something works has to start with the whole thing rather than with the individual parts. While chemistry can be explained using physics, physicists could not have discovered much about how chemistry works without already knowing about chemical phenomena. And you would get no understanding about the workings of the clock by looking at the characteristics of the atoms of copper and the other elements the clock is made of. Similarly, the characteristics of the atoms of carbon, hydrogen, oxygen and nitrogen in amino acids are not a good starting point in finding the workings of a specific protein, which may contain hundreds of amino acids. When the clock has been analysed by looking at all the parts and their interactions, there would be no need to look for any extra part to see how it works. The whole clock is equal to the sum of its parts. It is a system, and the analysis enables the operation of the system to be explained. But there is a difference between the assembled device and its unassembled parts. One consequence of this difference is that in many cases it can be very difficult to know precisely what would be produced by assembling the parts. With a clock, each of the parts has its own specific role, so there will be only one or a few of some specific kinds of part. With a different kind of unassembled parts, as in a Lego set, it is possible to build many different things. With Lego, you might build a bridge or a tower, or a trolley, etc. You can decide what to build. But what does nature do, where the parts assemble themselves in a way that depends on their environment? A group of amino acids can be built up into a huge range of different types of proteins. To be able to predict precisely which protein will be built on a particular situation you would need to know the particular amino acids and the required sequence for adding them. In other words, you need to know a lot about the specific process and the environment to be able to predict the outcome. This shows why sociology cannot be derived by starting from the physics of atoms. An important consideration with reductionism is the actual process of analysis. With the clock, the time-telling function is all that might be examined. The process of taking it apart to see how it works would need to take account of how it was assembled. Cutting it up with a hacksaw, for example, would not be a good way of analysing the processes of the mechanism. But there are other aspects that could be relevant, such as the readability of the dial, the overall size, weight and colour, etc., which might be relevant to whoever uses the clock. The composition of the materials in each of the parts could be relevant to the robustness, accuracy and lifetime of operability. So the processes appropriate to the analysis of a manufactured device, a chemical compound, a rock, an organism, or an ecosystem are all different from each other, and also may depend on the purpose of the analysis. The value of any analytical process depends on the accuracy and completeness of the descriptions of everything in the analysis and on the validity of the reasoning employed. Ideally, descriptions would be complete and accurate, and the reasoning would be rigorous and thorough. But there can be impediments to all of these. There may be scientific mysteries, possible unknown conditions e.g., high temperature or energy, and impracticalities of observation. Attempts to resolve these often lead to new information being discovered about either the parts or the whole or both. When new discoveries are made or new theories are devised, scientific theories are enlarged, modified or superseded. But even when the evidence appears to support the observations or theories there may still be unknown shortcomings. This does not mean that science is inherently unsound, but that there is always the possibility of there being something missing. But the more completely and exactly the theory, i.e., the explanation, matches the evidence, the smaller the probability that there is something missing. In his book Why Us: How science discovered the mystery of ourselves James Le Fanu claims that the reason science has reached an impasse in the areas of fundamental physics, cosmology and an explanation of consciousness is because it is constrained by reductionism, which he says inherently excludes any consideration of some additional, non-physical, component that he presumably believes exists. To justify such an entity as a component of a scientific explanation would require a description of laws that would govern the actions of that entity and show how they related to the explanation. But in the course of trying to devise a reductionist explanation it sometimes appears that there must be a missing, unidentified part. After working out what the missing part must be like, a search – or a race – is likely to be made to find it. Two examples of such missing parts of explanations are the element helium and the planet Neptune, whose existence and characteristics were correctly predicted before they were discovered. Sometimes it is hard to guess what the missing part might be. Dark matter and dark energy are examples of suggested missing parts in the explanation of aspects of cosmology. They have yet to be discovered. Could a supernatural entity ever be considered? It might be suggested as the missing part in the explanation of life, consciousness and the beginning of the material world. But there would be no way of demonstrating how it would solve any mystery, so any supernatural explanation must always be tentative. In any reductionist explanation, the contribution of every one of the parts, material or otherwise, must be able to be demonstrated to be essential and to exist, even if it is mere decoration. I have said earlier that the whole is the sum of its parts, but there is a reason why some people claim that the whole is often more than the sum of its parts. A complete clock, assembled with knowledge and skill, can do more than the sum of what the unassembled parts can do. The difference arises from the applied knowledge, skill and effort, and the use of appropriate tools that are required to assemble the clock. Is reductionism blind to this fact? Similarly, water is very different from hydrogen and oxygen in the form of gases. At every level of complexity in the natural world, people will point to the differences between the whole and its parts, and ask where the new characteristics came from. One answer is that in Nature they were provided by some entity outside the material world of science, something supernatural. This can be a comforting answer, because reductionism implies a mechanical determinism, which may feel OK for basic physical and chemical processes, but uncomfortable when reductionism is applied to living things, including us. Also, it seems reasonable. In Nature there is no noticeable assembly plant with a staff of experts and their tools, so there must be an unseen skilled agency. There is indeed an agency, and its process is known as emergence. But it is not supernatural. Emergence is the counterpart to reduction: reduction is analysis and emergence is synthesis. Emergence pervades the natural world. It is an outcome of the operation of the laws of science. By the laws of science I mean our descriptions of the forces of nature that we observe, that is, the gravitational, electromagnetic and nuclear forces. Newton’s laws of motion and the laws of thermodynamics are aspects of these forces. Nature’s parts assemble themselves, unlike those of manufactured goods. The parts in a clock do not spontaneously join together to produce a connected system. And there are not many different ways – other than swapping one screw or cog for another, etc. – in which they can be usefully assembled. But electrons, protons, atoms and molecules intrinsically interact, and they connect in ways that can become extremely complex as the assembly grows in size. Also, the number of possible arrangements increases enormously as the number of components or arrangements increases. Each particular arrangement is merely one of myriad possibilities, each with its own characteristics – its solidity or fragility, its reactivity or inertness, etc. As an example, water can exist in the form of vapour, of liquid, of formless ice and of crystals. The crystal form occurs as snowflakes, which can assume an almost limitless number of shapes. Yet in each case it is still an assembly of molecules of H2O. Particularly in the form of snowflakes, it could look as if water can become more than just the sum of its parts. But each of the many forms of water is produced by the forces of nature acting in an environment where temperature, pressure and the presence of other materials act as a system to determine the specific outcome. With snow, the precise details of each separate case have a critical effect on the form of each individual flake. It is not only tightly connected systems that produce emergent properties. Flocks of birds, shoals of fish, colonies of insects and microorganisms act as organised systems to find food, protect their members and arrange their environment. It has been found that the individual members of such groups act in accordance with a few simple rules that apply to particular aspects of their environment, which includes members of their own and other groups. And while these organisms are the "parts", they are all complex within themselves, and they also can be analysed. When looked at in isolation, the members or parts of any kind of system usually display only a part of their characteristics. But when they interact with something, additional characteristics are revealed. An atom of hydrogen by itself is just a proton and an electron held in partnership by electrical attraction and sub-atomic forces. When brought close to another atom it is seen to be chemically active. Its reaction with certain types of molecules produces an acid, and when the acid contacts water the hydrogen atom dissociates from the main body of the acid, leaving its electron behind and becoming a positively charged hydrogen ion, which then loosely associates with a molecule of water. A virus by itself is just a deeply textured bag made of proteins and containing some genetic material. But when it comes in contact with a living cell whose coating has a texture that it can latch on to – like the two textures of velcro or a burr hooking onto clothing – the genetic material of the virus can pour into the cell and the cell will assemble copies of the virus. And human beings in isolation do not reveal all the characteristics that determine how they will behave when interacting with one other person, or in a small group, or in a mob. So unexpected inherent characteristics may reveal themselves when things interact with various parts of their environment. These "hidden" characteristics contribute to the emergent properties of the whole and must be included when one adds up the parts to equal the whole. But is reduction really sufficient to show how every aspect of every kind of observed phenomenon occurs? When something that is already very complex is subject to imprecisely known influences, then analysis and prediction become more uncertain. A reductionist analysis can go only as far as the available information and analytical skills allow. Examples are the workings of brains or the weather or societies. Further resolution may, of course, be found by further research. Actually, it is never possible to know whether everything has been discovered about something. While this does not mean that there must necessarily be some external non-material entity whenever there is an unexplained detail, some people hope it might. So whether an explanation is sufficiently complete could be one of opinion – or, perhaps, just one of emotion. Causality and consistency lead to the principle that all scientific theories must be compatible with each other, and, of course, with observation. Reductionism, as a part of scientific reasoning, includes the assumption that these principles are valid. This assumption is supported by the high (but not perfect) level of consistency between scientific theories. With the exception of unresolved issues, all scientific theories are consistent with observed phenomena. It could also be argued that, since we cannot know that these principles are true in every possible case, inconsistently anomalous phenomena might sometimes occur as the cause of a scientific mystery yet to be solved. There could, for example, be truly random phenomena that break the rules of causality and consistency. To come back to the quantum example, in the process of decay of individual atoms of a radioactive element, the time intervals between successive instances of decay are haphazard enough to be used to provide pseudorandom sequences of numbers. But at larger scales of size, radioactive elements each have their own specific period of time that it takes for half of any particular piece to decay. And there are other consistent but inexplicable phenomena. Examples are the expansion of the universe, and spinning galaxies that unexpectedly avoid flying apart. 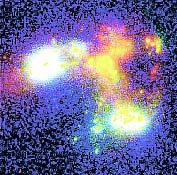 These have been attributed to "dark energy" and "dark matter", neither of which has yet been detected or explained. Since a reductionist explanation requires that all the interacting agencies that are involved in a process need to be identified and their characteristics examined, both dark matter and dark energy and dark matter must be regarded to be hypothetical. A reductionist examination considers the thing in isolation or with its near environment. This leads to one of the arguments against reductionism. The issue can be illustrated by thinking about the workings of a motorcar. When analysing a car in order to understand all of its properties and functions, is it sufficient to consider the car in isolation, or should the driver and the road be included in the analysis? If the answer to this question is ‘yes’, should other drivers in their cars, and more roads, and other kinds of things also be included? And if so, where do we stop? This harks back to the claim that "failure to be holistic" makes reductionism incomplete and unreliable. I think that this unreliability is not unlike that of induction, in which "enough" examples of a particular phenomenon with no exceptions are sufficient to justify claiming the phenomenon always happens in a certain way. And, if the physical explanation is accurate, logical and complete, there is no justification to say it is faulty. In reductionism, if the thing being examined plus its immediate environment is sufficient to explain what needs to be explained, there is no point in looking more widely. If it is not sufficient, a wider analysis is made. Neither induction nor reduction is completely infallible, because it is impossible to include all possible occurrences of a phenomenon or to include all of the ever-expanding environment of whatever is being analysed. But they are the best tools that are available, and in practice account is taken of apparent inconsistencies and cases of external influence. Usually it is enough to examine only the particular thing in question. Reductionism, through its analysis of the processes that produce phenomena, provides explanations based on already-established theories and explanations. The requirement that all scientific explanations have to be logical, based on (inductive) evidence and be consistent with each other greatly strengthens science’s claim to reliability although it does not absolutely confirm the validity of science. So science, while certainly incomplete, is one unified body of knowledge. It looks at the world from the smallest possible scale to the largest. Reductionism does not leave anything out of its analysis, or make science invalid or lacking. The idea of reductionism and emergence suggests that the concept of "a thing" or of "reality" must always mean many things, not just one – at least to the limited understanding of human beings. More than two thousand years ago the philosopher Plato wrote a story about prisoners watching shadows that flickered on the wall of a cave, thinking they were seeing reality but on being released saw the outside world. Plato was implying that what we see as reality is still only the shadows of some unknown ideal forms. The eighteenth century philosopher Immanuel Kant looked for the "thing in itself" (Ding an sich) as distinct from what we think we see. The twentieth century philosopher Ludwig Wittgenstein wanted a language that had real meaning, i.e., that faithfully described tangible things or processes. Perhaps reductionism, in all its levels, provides the closest that humanity, limited in its ability to sense the world and to interpret what it senses, will ever get to satisfying the hopes of Plato, Kant, Wittgenstein and all others who have strained to find true reality. But how could we ever know how close to reality science, or anything else, is?